The walking trails in Piedmont Italy evoke thoughts of long winding trails through the many vineyards that create the one thing this area is famous for, Barolo wine. Join us on this week-long hiking vacation starting in Alba, the medieval city of 100 towers. Graded level 2-3 on a self-guided walking basis this tour is a little more challenging but so worth it! 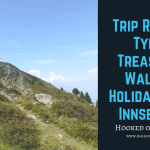 This particular walking holiday in Italy is set between the Alps and the Apennine Mountains and blessed with the rich, fertile lands that produce the “King of Turffles” The Tuber Magnatum! Also grown on these lush lands are some of the world’s best wines including Barolo and Barbera. You also find an infinite variety of cheese, preserved meats, refined pastries and chocolates that are exported the world over. Thus, gastronomy plays a major part in this hiking vacation in Italy, and you will have the opportunity to try the different specialities, choosing among the many gourmet restaurants, wine cellars and pastry shops you will find along the trip. From the tops of the hills, you will see small picturesque villages, large, elegant castles, vineyards, oak and hazelnut forests and on clear days the stunning, often snow-capped mountains of the Alps dominating the horizon. That’s why we offer you the possibility to choose your own restaurant and favourite dish after each day of walking. Don’t delay, come and enjoy the Barolo walking trails in Italy with Hooked on Walking! Arrival in Alba the medieval city of ‘100 towers’, where you can start your gastronomic experience. Day 2 Roddi to Barolo (or Vergne) 8.1/9.4 miles 13/15 km up/down 509/409m 3.5/4 hours. Today you first have a transfer to Roddi. Now your walk starts crossing several hills where you reach the rustic village of La Morra. On your route you shall pass many wine tasting options. The views are stunning and on clear days the Alps are in view. In La Morra you can visit the local Ratti Museum to learn about wine making and local culture. You will then continue to the hamlet of Vergne or Borolo depending on your accommodation. Day 3 Barolo to Monforte d’Alba 5/7.5 miles 8/12km, up/down 447/390m, 3/4 hours. Passing by the old village of Novello, with its Middle Aged tower you reach the wine capital of Barolo, where the famous wine is produced. Spend some time exploring the recently opened WiMu Wine Museum located in the Castello dei Marchesi Faletti and maybe take some lunch at one of the great local trattorias. From here on the walk passes through vineyards and forests and takes you to Monforte d’Alba, a nice hilltop village. Day 4 Monforte d’Alba to Cissone 10.6/11.9 miles 17/19 km, up/down 680/565 5/6 hours. Today you shall notice that the landscape is far more varied than on the previous days as you leave the vineyards behind and climb through tidy hazelnut forests and wild woods surrounding the ancient hamlet of Serralunga d’Alba. From here a steep climb brings you to Roddino from where a long descent takes you to the final climb up to Cissone. You will find today is an easy, relaxing day. A short circular walk in the neighbourhood of Cissone leaves you plenty of time to relax and appreciate your host’s warm hospitality and the splendid views from the agriturismo. Day 6 Cissone to Cravanzana 8.1-12.8 miles 13-20 km, up/down 600/665m, 5-6 hours. The landscape of the high Langhe area around Cissone is characterised by hazelnut forests and those slopes that are too steep to be cultivated are covered by oaks. This is also the area where you find the most precious of the local treasure, the ‘Tuber Magnatum’, also known as ‘the white truffle of Alba’ and, if you don’t find it on the ground, you are sure to find it at the local restaurant. Day 7 Cravanzana to Cortemilia 8.1 miles 13 km, up/down 450/790m, 5 hours. Today the landscape is as varied as the walk itself. You visit the villages of Torre Bormida and Bergolo that you reach crossing hazelnut plantations and dense chestnut woods using broad forest paths, small grassy trails and narrow cobbled streets until you reach the town of Cortemilia. On clear days the view of the hills and the Alps is breath-taking. Your holiday is complete after breakfast. There is a local bus that goes to Alba every day except Sundays. In general the walks are easy to moderate with some more demanding sections Stamina and a moderate to good physical condition are required. The walks are along uneven footpaths, mule tracks and strade bianche, (small gravel roads). Selected 3 star hotels are used in the larger towns, while in the villages and countryside we use cosy and friendly agriturismo and Inns, some very well known for their cuisine. Accommodation is based on double rooms occupancy and all rooms have private en-suite facilities. Throughout the trip there are plenty of opportunities to taste not only the excellent local food but also the many famous wines of the region. At the beginning and the end of the season the terrain can become heavier and more strenuous for walking, especially after it has rained. July and August are not as hot as other areas of Italy and in late October, November you have to book very early because of the world famous truffle exhibition. Throughout the hill country in Italy you can expect temperatures between 10-25 °C in spring and autumn that can reach 35°C in July and August. Mornings can be chilly and misty but it warm up as the day goes by. Showers are common in spring and autumn, although not every day and they tend to be either short and intense or prolonged but light. Turin international airport is served by regular and low cost carriers. Milan Linate and Milan Malpensa are further away but are served by many more flights. There are several trains per day from Turin to Alba. It is possible to book a transfer from Turin and Milan to Alba or vice versa. On arrival the approx cost by bus and train is 12€ (£9) per person and around the same cost on the return journey. You can extend your trip by booking extra nights at any of the accommodations on the route. We recommend Alba, Vergne and Cortemilia. You can also combine your trip with a stay in other towns and cities in the Langhe, Monferrato or the high mountain.